Hot Club of Spokane, bringing New Orleans to the Inland Northwest. It was in 2005, in a small New Orleans jazz club called the Spotted Cat, when Garrin Hertel fell head over heels in love with the music of the French Quarter. While watching a band called the Jazz Vipers, Hertel, a classically trained pianist who hadn't played music in more than a decade, was finally inspired to get back into the swing of things. "Watching the guys in the band play together, seeing the joy they felt while playing traditional jazz, I had to know what it felt like to create music with a group of people on the spot, onstage in a jazz club," Hertel says. So Hertel, entranced by the stylings of Jazz Vipers rhythm guitarist John Rodli, picked up a guitar himself, and eventually formed the local jazz and swing collective Hot Club of Spokane in 2007. Now Hertel is taking his love of Dixieland to a venue that you might not immediately associate with jazz: He's one of the creative minds behind Northwest of New Orleans, a variety series that's set to bring a little slice of Louisiana culture to the Bartlett. These monthly concerts share a name, format and venue with Northwest of Nashville, a regular folk and bluegrass series conceived of and hosted by Spokane singer-songwriter Jenny Anne Mannan. 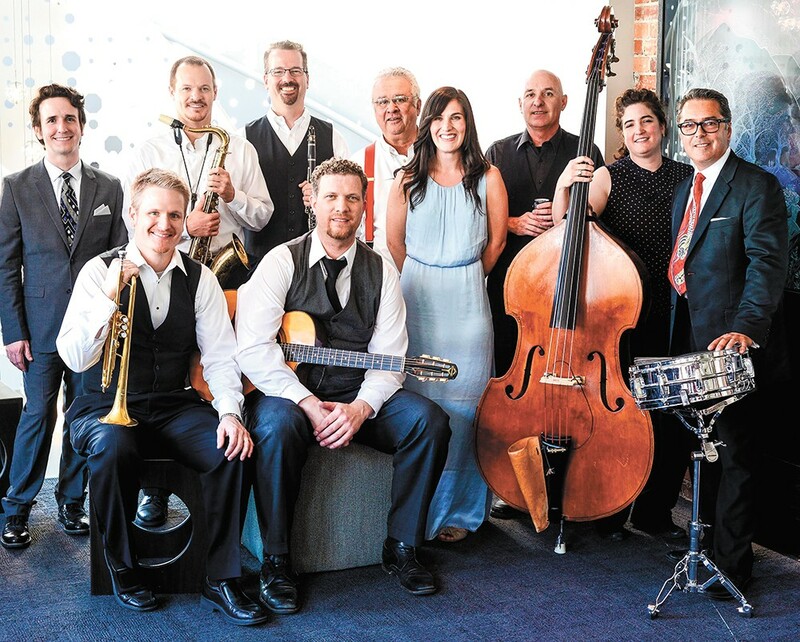 Hertel recalls going to November's Northwest of Nashville show because it featured Steve Bauer, Hot Club of Spokane's lead guitarist, and he knew instantly that he could do the same thing with jazz. "I loved the format, the music and the whole idea," Hertel says. With Mannan's enthusiastic blessing, that idea quickly became a reality. The New Orleans and Nashville shows will follow the same basic structure, which both Hertel and Mannan have likened to the long-running radio program A Prairie Home Companion. It's similar, too, to the ongoing Round series, also hosted by the Bartlett: Musicians from different projects and disciplines share the same stage, performing their own work, collaborating with each other and often improvising in the moment. "Since [Ella's Supper Club] closed, it's really been difficult to pin down a local establishment that has regular offerings of jazz," Hertel says. "Jenny's show inspired us to take a risk on promoting something monthly that could give jazz another anchor in Spokane culture. Without that opportunity, and others like it, the scene simply can't grow." The first Northwest of New Orleans show will be hosted by members of Hot Club, and the featured artists will include multi-instrumentalist and swing revivalist Casey MacGill — "he's a modern-day Cab Calloway, in a way," Hertel says — and the vocal trio of Anna Jo Muhich, Cady Croskrey and Mikaella Croskrey, paying tribute to the Boswell Sisters, 1930s jazz stars who inspired Ella Fitzgerald and the Andrews Sisters. Mannan will also be performing, helping to ring in the latest entry in her namesake series. Since Mannan's brainchild already has attracted a regular audience, Hertel hopes that his take on the format will, too. And who knows: Maybe someone will experience the same jazz epiphany that Hertel did a dozen years ago at the Spotted Cat.